The SDES TRiO Center offers weekly tutoring sessions in prerequisite and gateway courses in math and science where students self-identify a need for one-to-one assistance or where a formation of a small study group is necessary. 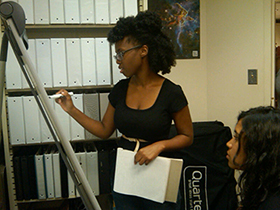 Peer tutoring is a free service to all participating PRIME STEM and Project BEST scholars. 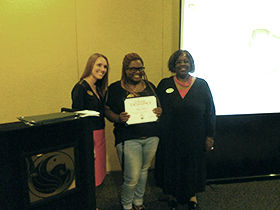 Scholars seeking tutoring must be enrolled at UCF in the course in which tutoring is requested. Call the office at 407-823-4165, stop by the office (Howard Phillips Hall 2018), or contact us by email (sss@ucf.edu) to make an appointment for a face–to-face or virtual appointment with a tutor. Also, the SDES TRiO Center refers students to other on-campus tutoring labs: the Student Academic Resource Center (SARC), the Math Lab, the Veterans Academic Resource Center (VARC), the Engineering Tutoring Lab, and the Writing Center. The SDES TRiO Center offers Academic Coaching sessions. Academic are graduate students who facilitate a series of life management and academic success workshops each semester. Topics include tools for success such as: reading and writing, professional socialization, transitional skills, leadership development, diversity, time management, power studying, critical thinking, test taking, and goal setting. By attending these workshops, scholars will receive strategies and techniques to improve academic and personal development. Academic Coaches also provide individual sessions. Call the office at 407-823-4165, stop by the office (Howard Phillips Hall 2018), or contact us by email (sss@ucf.edu) to make an appointment for a face –to-face or virtual meeting with an academic coach. Scholars must meet with a program coordinator each semester to discuss current academic progress and to assist with schedule planning for the next semester. Also, scholars should plan to meet with a program coordinator each year to review their Individualized Academic Plan (IAP) and progress towards degree completion. Project BEST and PRIME STEM scholars will be closely monitored for warnings of academic difficulty and services will be provided as needed. Call the office at 407-823-4165, stop by the office (Howard Phillips Hall 2018), or contact us by email (sss@ucf.edu) to make an appointment for a face –to-face or virtual meeting with a coordinator. PRIME STEM and Project BEST scholars must complete a financial literacy and a financial aid workshop each year. The SDES TRiO Center has created financial and economic literacy modules that are available online (via Canvas). Additional workshops are offered in collaboration with the Florida Department of Education, Office of Student Financial Assistance and the UCF Office of Student Financial Assistance. Topics covered include the following: FAFSA (Free Application for Student Aid), how to budget, managing your credit management, financial planning, setting financial goals, and loans debt management. Workshops are available in both face-to-face and online formats. 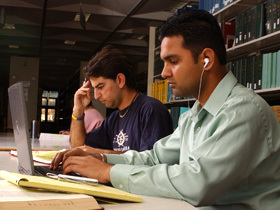 Project BEST and PRIME STEM scholars receive assistance in applying for admissions to graduate school or professional school including access to practice exam study guides, assistance with writing personal essays, visitations to graduate and professional schools, as well as information on how to finance graduate school and obtain Federal Student Aid. The SDES TRiO Center works in collaboration with the Multicultural Academic Support Services (MASS) office, Office of Pre-Health Pre-Law Advising, and the Academic Advancement Programs. These services foster an awareness of continuing one’s education beyond the Baccalaureate degree. Scholars seeking employment will participate in seminars designed to enhance their career readiness. These seminars will include interviewing skills, resume writing, and portfolio development, dress for success workshops and an etiquette luncheon. Peer Mentors provide support, guidance and foster a community of support while building relationships with our scholars. Our mentoring program provides scholars with the opportunities to connections to key services, resources, and individuals who assist scholars with being successful academically while adjusting to college life and attaining a sense of belonging and inclusiveness. Peer mentors communicate with scholars on a consistent basis, assist with referrals to appropriate campus resources, and provide leadership during TRiO Center activities. They provide a support system during the semester, serve as a connection for employment opportunities, and serve as an opportunity for campus engagement. Peer Mentoring is a free service to all participating PRIME STEM and Project BEST scholars. To request a mentor, call the office at 407-823-4165, stop by the office (Howard Phillips Hall 2018), or contact us by email (sss@ucf.edu) to make an appointment for a face –to-face or virtual meeting with a mentor. The SDES TRiO Center peer mentoring program earned national certification standards from the International Mentor Training Program Certification from the College Reading & Learning Association. 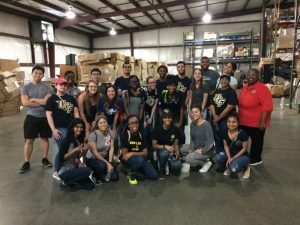 Additionally, students will have the opportunity to participate in UCF mentoring programs such as LEGACY, Brother-to-Brother and Lead Out Loud. The SDES TRiO Center provides Project BEST and PRIME STEM scholars with the opportunity to attend professional conferences, symposiums and workshops. In the past, students have attend the Great Minds in STEM conference, the Florida Association for Equal Opportunity Program Personnel (FAEOPP) Student Leadership Conference, the UCF First Generation Conference, the National Male Summit, the UCF Medical Symposium, to name a few.